WOW!!! What a fantastic evening of Football last night where Matt joined us to celebrate our 1 Year Anniversary with the Southampton Day Services OTARS. Steve Phillips, Managing Director, received a phone call early into 2015 from Nicki Parsons at Southampton OTARS who enquired whether it would be possible for us to provide one of our Coaching Team to take a regular football coaching session for the Southampton OTARS on Thursday evenings. We were more than happy to help, so we found one of our coaches who was available on Thursday nights to take the sessions. So after Nicki organising the time and venue, our coach Ben Jefford headed down to the Southampton Sports Centre along with Steve to take the first session in April 2015. SAVED! MLT's penalty palmed away by "Richard the Cat"
The first session went down like a storm! 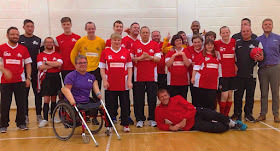 The OTARS thoroughly enjoyed Ben's games and learning new skills within the hour session and all had a great time. Ben proceeded to run the session every Thursday evening, providing Football Fun with lots of laughs & smiles along the way. After a few months, due to his footballing playing career, Ben was no longer available to take the session on a Thursday night due to having to travel up to London for his team at the time, Welling United FC. This is where another member of our Coaching Team "took the OTARS under his wing," as Luke Davis stepped in to head up the sessions on a weekly basis. Luke has done a fantastic job over the last year, building a special friendship with each and every Player as well as the Parents who come along to watch & support every week which was apparent last night in all the smiles and love on show. Other members of our Coaching Team, Jamie Robinson, Jody Rivers, Pele & Sam Phillips have all stepped in to take sessions to cover Luke when he's been unavailable on the odd occasion, and have all thoroughly enjoyed it. Once again, a massive Thank You to Nicki Parsons for making the phone call a year ago, and for giving our Coaches an opportunity to work with this incredible group of people.. 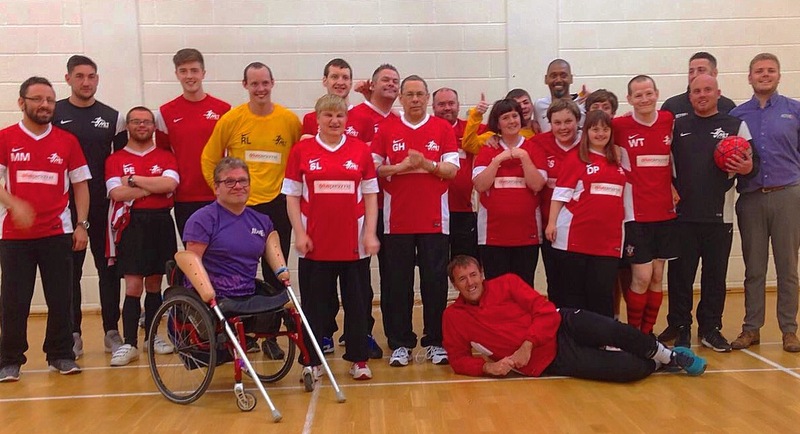 Here's to many more years in Partnership with the Southampton OTARS to come! !